What's a Service like? - Here at St. John we strive to make our worship services meaningful to all who enter to worship. We offer two different services weekly. Our Blended Service (8:00 am) contains the basic format of the Liturgy which contemporary music and a fully printed Order of Service. 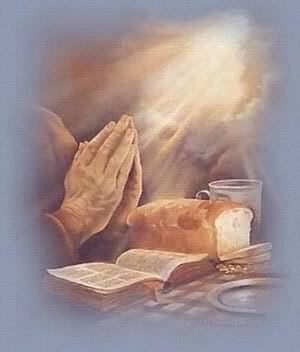 Our Divine Service (9:30) is our Traditional Service with Liturgy and Music from the Lutheran Service Book. What's the Music like? - Those attending the Blended Service will worship the Lord in contemporary song accompanied by our Praise Team (Acoustic Guitars, Bass, Keyboard and Percussion) while our Divine Service is accompanied by a rotating group of very accomplished organists. How people Dress? - We recognize that visitors attending worship here at St. John are usually on vacation, so dress comfortably. However, we ask that our worshippers respect the sanctity of this special time with conservative attire. What about my Kids? 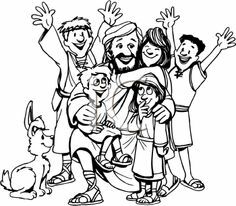 - Children are most welcome in our Church. Jesus said, "Let the children come to me and do not hinder them, for to such belongs the kingdom of God" (Mark 10:14), and we feel parents should bring their children to the worship service of their choice. We offer KIDZ Church (Sept - May) which takes place during our Divine Service. 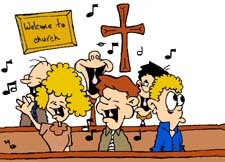 Children are excused from the main sanctuary after a short "Children's Sermon" by Pastor who introduces them to what they will be learning that day. Can I take Communion? - Communion is offered at the following services: 9:30 Divine Service - 1st & 3rd Sundays, 8:00 Blended Service - 2nd & 4th Sundays. The Lord's Supper is celebrated here at St. John in the confession and glad confidence that, as He says, our Lord gives into our mouths not only bread and wine but His very body and blood to eat and to drink for the forgiveness of sins and to strengthen our union with Him and with one another. Our Lord invites to His table those who trust His words, repent of all sin, and set aside any refusal to forgive and love as He forgives and loves us, that they show forth His death until He comes. Because those who eat and drink our Lord's body and blood unworthily do so to their great harm, (1 Corinthians 11:27) and because Holy Communion is a confession of the faith which is confessed at this altar, any who are not yet instructed, in doubt, or who hold a confession differing from that of the Lutheran Church, and yet desire to receive the Sacrament, are asked first to speak with Pastor Winter. Where do I Park? 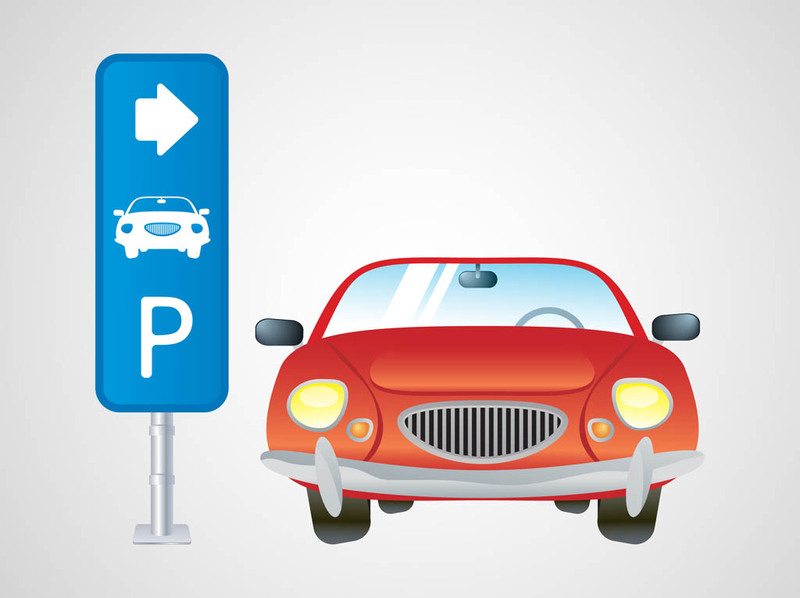 - Parking is available behind and along the west side of the church building.